Mohaymen Exhibits Superiority in Holy Bull Win: Is this the year that Tapit could be the Kentucky Derby winning sire? So far, his top offspring is the undefeated, in now four starts, Mohaymen. A three-time stakes winner, Mohaymen added another ten points to his Kentucky Derby leaderboard spot. 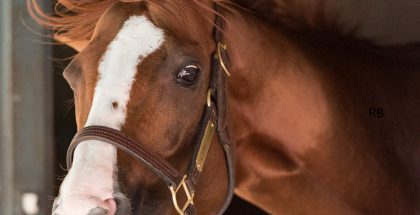 He now has 20 points toward a potential start in the 2016 Kentucky Derby. 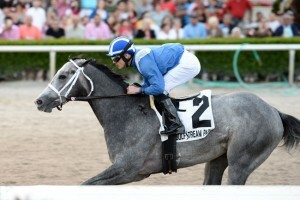 The Holy Bull, contested over the main track at Gulfstream, is run around two turns, covering 8.5 furlongs. Mohaymen was the only horse in the field that has actually contested a race at a longer distance. 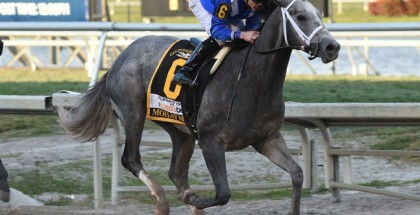 So far, Mohaymen has proven that distance is not an issue thus far in career. Could he be a top horse at ten, or even 12, furlongs? The Holy Bull began pretty evenly. Mohaymen broke a half step slow, letting horses Perfect Saint and Greenpointcrusader to go out for the lead, leaving Mohaymen to sit third for the beginning travel up the backstretch. By the ½, Mohaymen was with Perfect Saint and Greenpointcrusader, covering the first two quarters in 24.64 and 49.06. Quickly, however, Perfect Saint faltered, leaving the two big guns to battle it out. Greenpointcrusader did his best to fight on with Mohaymen, with the two increasing their distance from the rest of the field and having a shirt battle. The two battled through ¾ in 1:12.52 before Mohaymen began to show why he is the current Kentucky Derby favorite. He completed the mile in 1:36.64 and took off, winning the Grade II Holy Bull by at least five lengths, with a final time of 1:42.07. Mohaymen is trained by Kiaran McLaughlin and owned by Shadwell Stable. Mohaymen was a $2.2 million yearling purchase at Keeneland September of 2014. Mohaymen is quickly fulfilling his expectations, not only as being an expensive horse, but being better than his older half brother, New Years Day (Street Cry). New Years Day was winner of the Breeders’ Cup Juvenile in 2013 before sustaining an injury and being retired to stud. 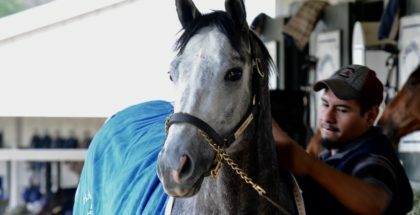 Mohaymen is likely to rest until the Florida Derby, but it is possible he could target the Fountain of Youth, pending how he exits the paid workout he exhibited in the Holy Bull.